In a continuous effort to better inform, educate and convince companies and stakeholders about the importance of standardizing and streamlining textile care symbols worldwide, GINETEX has reviewed its websites’ structure, design and content. Dedicated to textile, decoration and fashion professionals, the website is now more user-friendly, intuitive, educational and closer to the expectations and needs of its international counterparts. 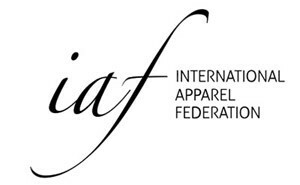 It now stands as the reference website for active or potential GINETEX members and users such as textilerelated organizations, industrial players, textile product manufacturers and distributors, as well as all stakeholders involved in the textile care market including industrial textile care companies (laundry, washing machine and iron manufacturers, dry cleaners, etc. ), international associations, institutions and major European organizations. Among others, the new website includes information on GINETEX and access to its license information for the use of its trademark (5 internationally registered symbols). It also lists all the national entities responsible for relaying this license and information support in over 22 countries, as well as GINETEX’s technical and institutional partners, etc. Visitors can also subscribe to GINETEX’s bi-annual newsletter for free and catch up on the latest news on textile care from all ends of the world. GINETEX’s website also introduces its Technical, Legal and Regulatory Competence Center that supports its member companies in the design of their textile care labels. The mission of the new www.ginetex.net – more user friendly, more modern and more intuitive – is to provide its stakeholders with an international information platform on textile care, including the use of its 5 universal symbols and its clevercare.info philosophy. “Our new website contributes to our strategy of standardizing and streamlining labelling worldwide. This platform allows us to join forces and educate companies on textile products and the importance of using symbols for end consumers. It now offers clearer messages for our future members, for a better understanding of textile care symbols”, says GINETEX President, Adam Mansell.